The Bang Bang Club was a group of four conflict photographers active within the townships of South Africa between 1990 and 1994, during the transition from the apartheid system to democracy. This period saw much black on black factional violence, particularly fighting between ANC and IFP supporters, after the lifting of the bans on both political parties. But groups like the Afrikaner Weerstandsbeweging were also involved in violence. Kevin Carter, Greg Marinovich, Ken Oosterbroek, and João Silva were the four associated with the name. Many photographers, photojournalists, (such as James Nachtwey and Gary Bernard) and television news crews reported also at this time the violence in the townships. A movie about the group, directed by Steven Silver premiered at the Toronto International Film Festival in 2010. The name “The Bang Bang Club” was born out of an article published in the South African magazine Living. Originally named The Bang Bang Paparazzi, it was changed to “Club” because the members felt the word paparazzi misrepresented their work. The name comes from the culture itself; township residents spoke to the photographers about the “bang-bang” in reference to violence occurring within their communities, but more literally, “bang-bang” refers to the sound of gunfire and is a colloquialism used by conflict photographers. On 18 April 1994, during a firefight between the National Peacekeeping Force and African National Congress supporters in the Thokoza township, friendly fire killed Oosterbroek and seriously injured Marinovich. An inquest into Oosterbroek’s death began in 1995. The magistrate ruled that no party should be blamed for the death. In 1999, peacekeeper Brian Mkhize told Marinovich and Silva that he believed that the bullet that killed Oosterbroek had come from the National Peacekeeping Force. In July 1994, Carter committed suicide. 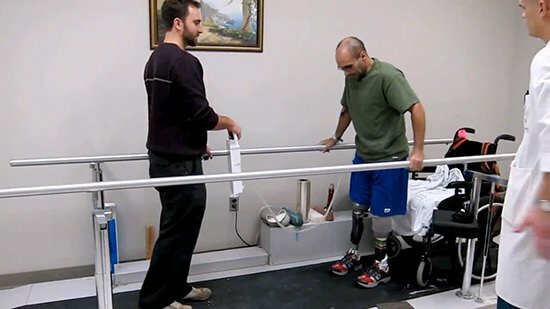 On 23 October 2010, Silva stepped on a land mine while on patrol with U.S. soldiers in Kandahar, Afghanistan and lost both legs below the knee. Two members won Pulitzer Prizes for their photography. Greg Marinovich won the Pulitzer for Spot News Photography in 1991 for his coverage of the killing of Lindsaye Tshabalala in 1990. Kevin Carter won the Pulitzer for Featured Photography in 1994 for his 1993 photograph of a vulture that appeared to be stalking a starving child in southern Sudan. Ken Oosterbroek: World Press Photo 1993, 2nd prize stories, General News; Ilford Press Photographer of the Year in 1989 and 1994; nominated the South African Press Photographer of The Year three times. Ken Oosterbroek, one of South Africa’s top news photographers, is held by fellow photographer Gary Bernard of the Johannesburg Star after his was killed by police gunfire in the Kathelong black township of Johannesburg 18 April 1994. João Silva won the South African Press Photographer of the Year Award in 1992; World Press Photo 2007, Honorable mention stories, Spot News. 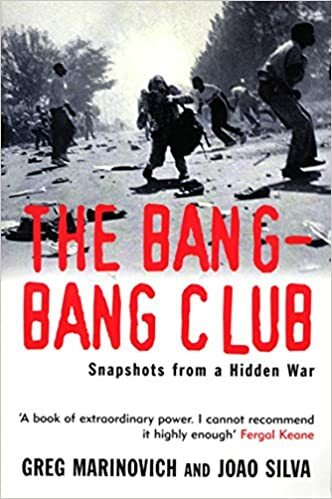 In 2000, Marinovich and Silva published The Bang-Bang Club: Snapshots from a Hidden War (2000), a book documenting their experiences. A film adaptation of Marinovich and Silva’s book, The Bang Bang Club (2010), was shot on location in Thokoza township by South African documentary film-maker Steven Silver.Marinovich worked as a consultant on the film which starred Ryan Phillippe as Greg Marinovich, Taylor Kitsch as Kevin Carter, Neels Van Jaarsveld as João Silva and Frank Rautenbach as Ken Oosterbroek. A documentary entitled The Death of Kevin Carter: Casualty of the Bang Bang Club (2004) was nominated for an Academy Award in 2006. The Death of Kevin Carter – Documentary Short from Saville Productions on Vimeo. A documentary entitled When Under Fire: Shoot Back! premiered at the Denver Film Festival in November 2014. The Bang-Bang Club are referenced in the 1996 Manic Street Preachers song “Kevin Carter” that features the lyric “Bang-Bang Club, AK-47 Hour.” The album “Poets and Madmen” by Savatage is inspired by the life of Kevin Carter. Silva told Michel Peyrard this in an interview for Paris Match in 2013. Marinovitch and Silva expressed the same thing in other words in her book. We discovered that one of the strongest links among us was questions about the morality of what we do: when do you press the shutter release and when do you cease being a photographer?